Buddleia davidii 'Royal Red' has large panicles or spikes of purple-red flowers from July to October. 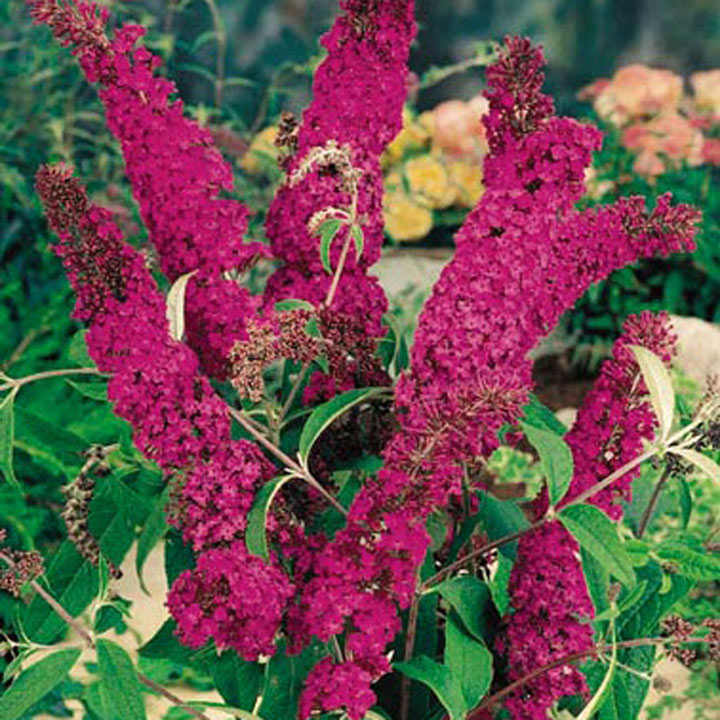 The fragrant flowers of Buddleia Royal Red are very attractive to butterflies. Position in full sun on most types of soil. Height 150-200cm. Supplied in a 3 litre pot. Ideal for beds and borders, patio pots and container. Scented. Attractive to butterflies and bees. Prefers full sun.